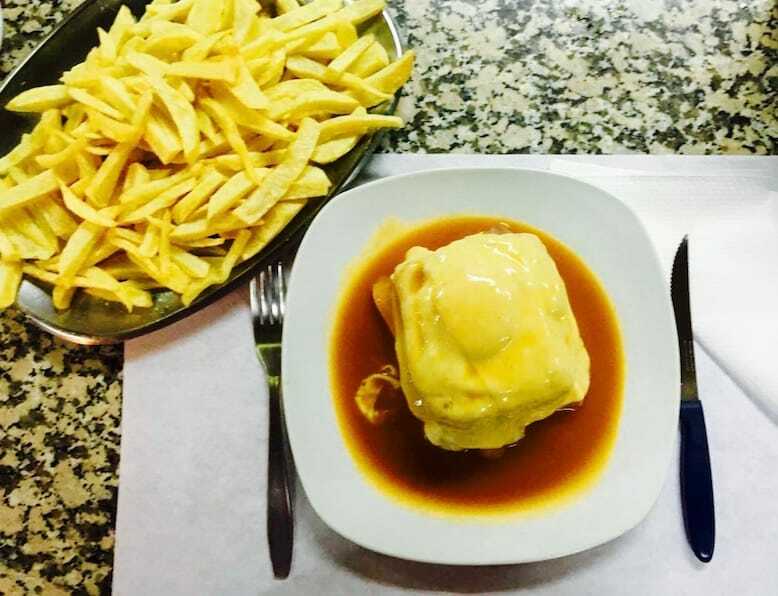 Where can I get the best francesinha in Porto? 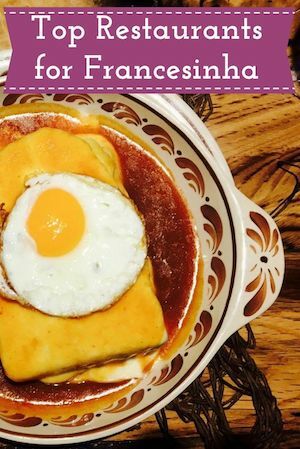 Francesinha Café is one of the few restaurants that I am faithful to. 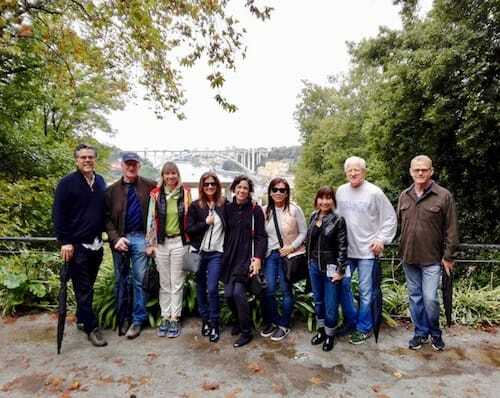 The quality of the ingredients and the complete trust I have on chef Fernando are the reasons why I keep coming there, and it definitely deserves to be at the top of the best francesinhas in Porto. 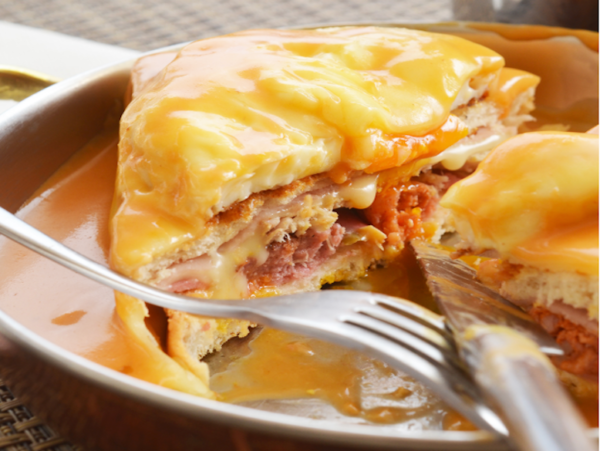 Whenever I go I get a surprise, because even though it’s always the same outstanding francesinha, each time it is “decorated” at the top with something different: a slice of ham, a grilled sausage, or even a mouthwatering shrimp. 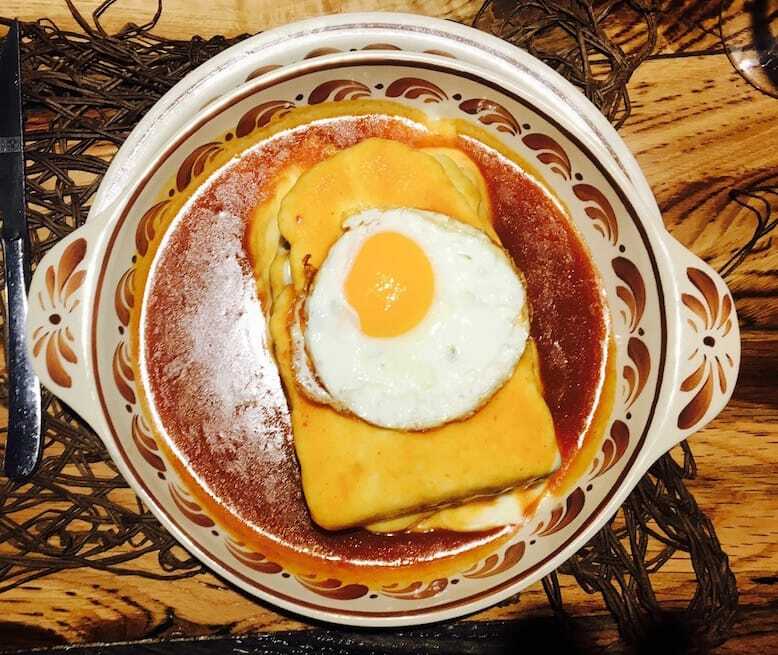 Yuko, an intimate restaurant with traditional Portuguese décor, is also an excellent choice because, in addition to the quality of its oven francesinha, it has the best sangria in Porto (bold statement, I know – but it’s so true!). It only opens at night, so it is mandatory to make a reservation at this little corner of heaven. 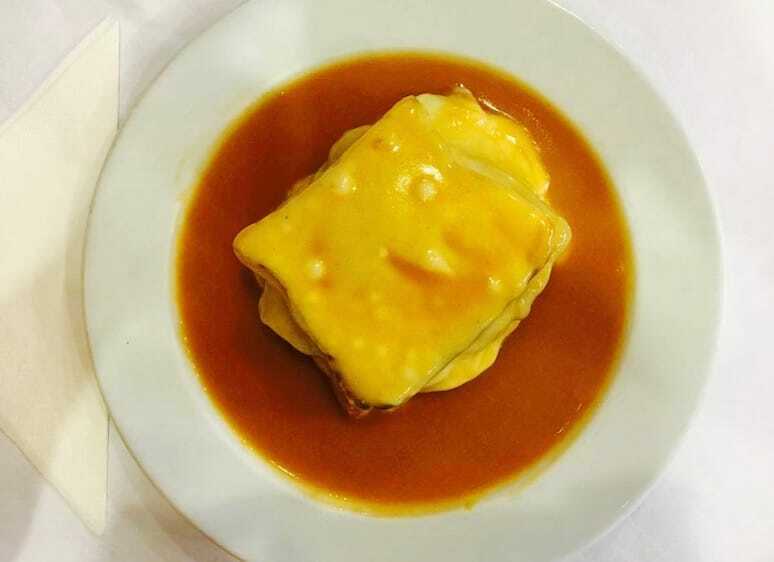 Such as Francesinha Café, Yuko’s menu is focused almost exclusively on francesinhas (it also serves half francesinha, ideal for the ladies), so I advise you to go there only if you are in the francesinha mindset. 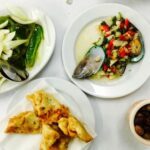 Brasão, which belongs to the same owners of Yuko, is without a doubt one of the most charming restaurants of Porto. 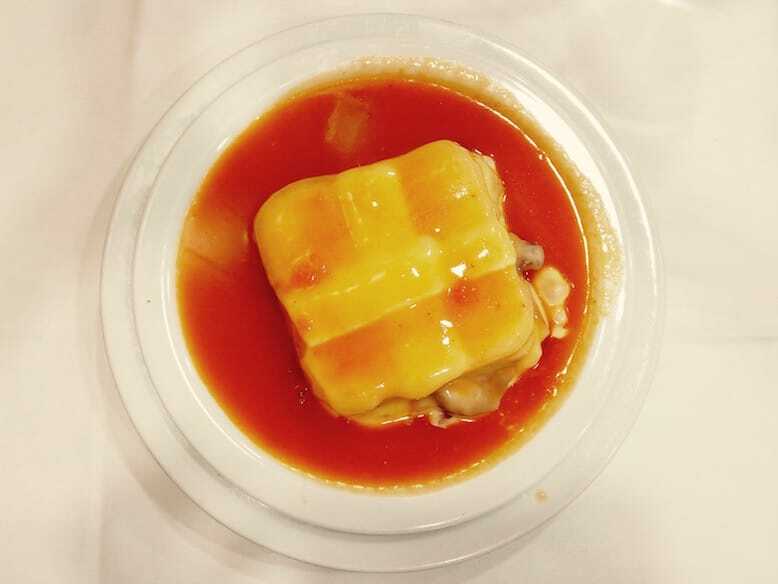 It has a fairly diversified menu, with outstanding starters, in which its oven francesinha has a prominent place. 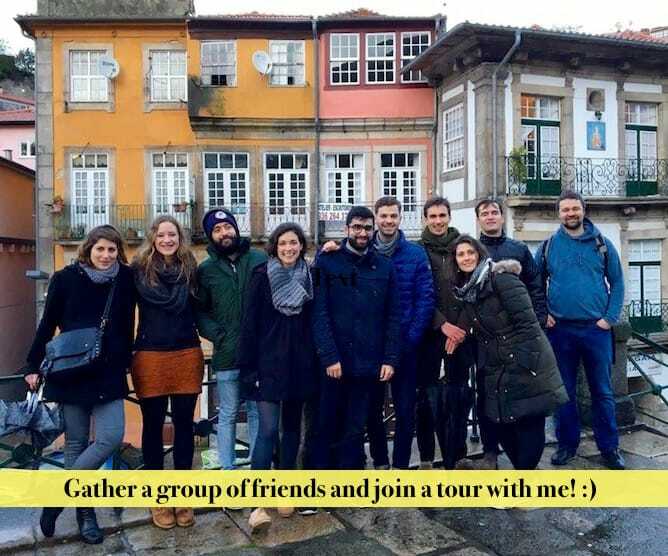 Right in the heart of Porto, next to Avenida dos Aliados, it is the ideal choice for a Saturday night in the company of a group of friends. Lado B belongs to Artur Ribeiro, the former owner of the (now closed, much to the dismay of the locals of Porto) vinyl’s store Jo – Jo’s. So it is not surprising that when you go to Lado B you find a modern décor with numerous musical notes in red and grey tones, and once in a while you’ll see a famous musician there. Santiago, one door above Lado B, is probably the most popular choice for francesinhas among tourists. 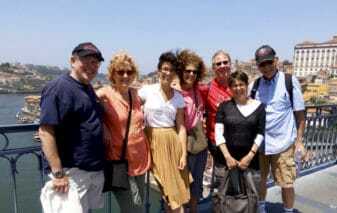 But don’t worry, we the locals definitely agree that Santiago has one of the best francesinhas in Porto! 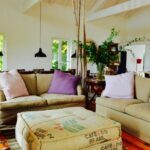 This is quite natural as the location is superb, the service is fast and its francesinhas are consistently good. I highly recommend going early because it gets crowded quickly. Venham Mais 5 opened a few years ago to win its position as the best restaurant for “pregos”, a typical sandwich from Portugal. 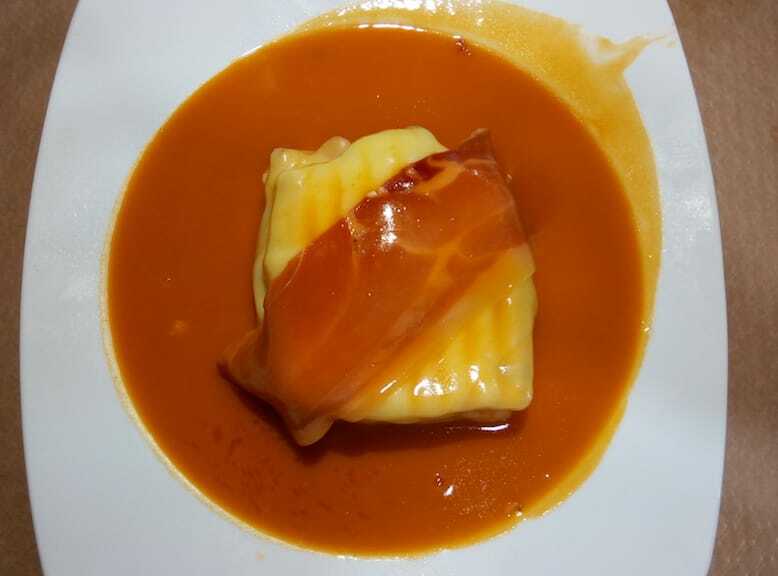 However its francesinha doesn’t fall behind its “pregos” – a good steak, a sauce with the right balance of spice and salt, and some wonderful potato chips. Since I have given it a try, it entered immediately to my list of best francesinhas in Porto, for sure! If you have a sweet tooth, ask for “the house specialty” for dessert: a decadent chocolate mountain, with layers of chocolate meringue and homemade mousse. Fabulous! 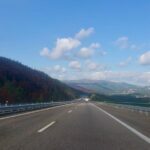 I went to Galiza for the first time without expectations, but I left quite surprised. 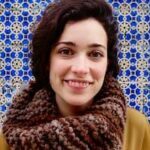 Its atmosphere, of a typical Portuguese brewery, is accompanied by a warm and efficient service. The francesinha is balanced, with a good steak without too spicy notes, which will certainly please the most sensitive palates. 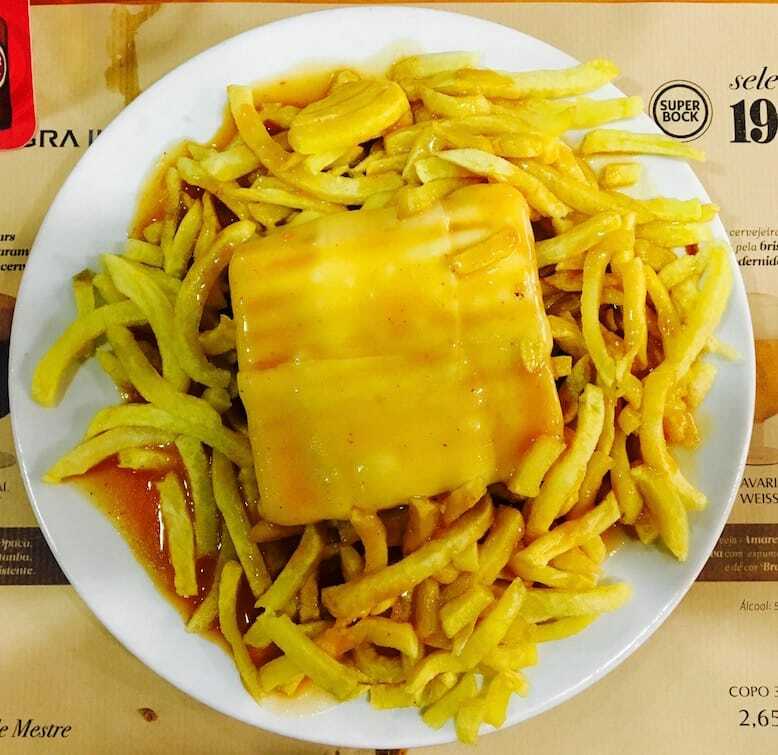 On the other hand, the menu also has numerous choices of meat, fish and seafood, so it is a good place to take a group in which not everyone wants to eat francesinha. Capa Negra II, a few doors above Galiza, is probably the most popular brewery of Porto, with people entering and leaving all the time and a lot of people eating by the counter. 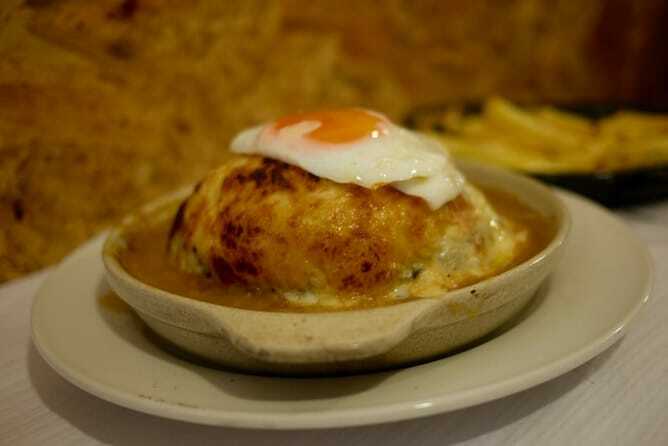 It owes much of its fame to its fabulous “rissóis” and to its soft francesinha. 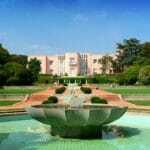 It is one of those places that you should go just for the experience! 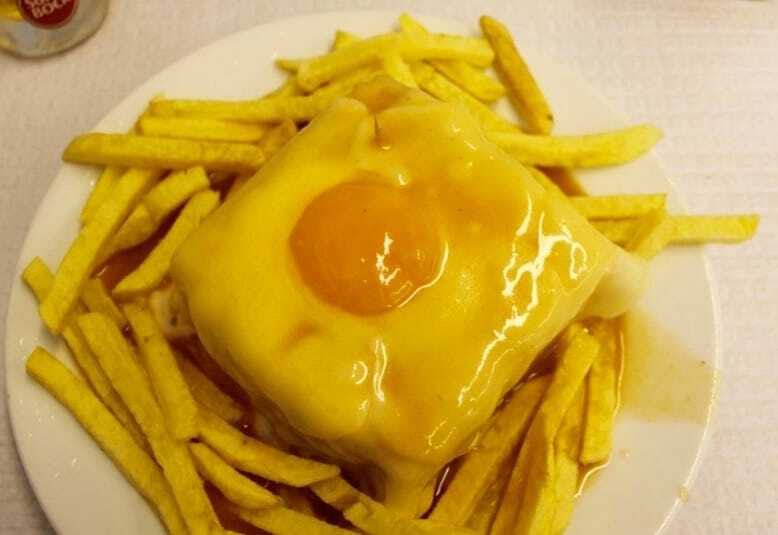 The critics (as in, me and the usual suspects) are unanimous: one of the major advantages of having a francesinha at Cantarinha, a discreet and familiar cafe, is the amount of home fried potatoes chips that keeps coming to the table (even if you don’t ask for them!). 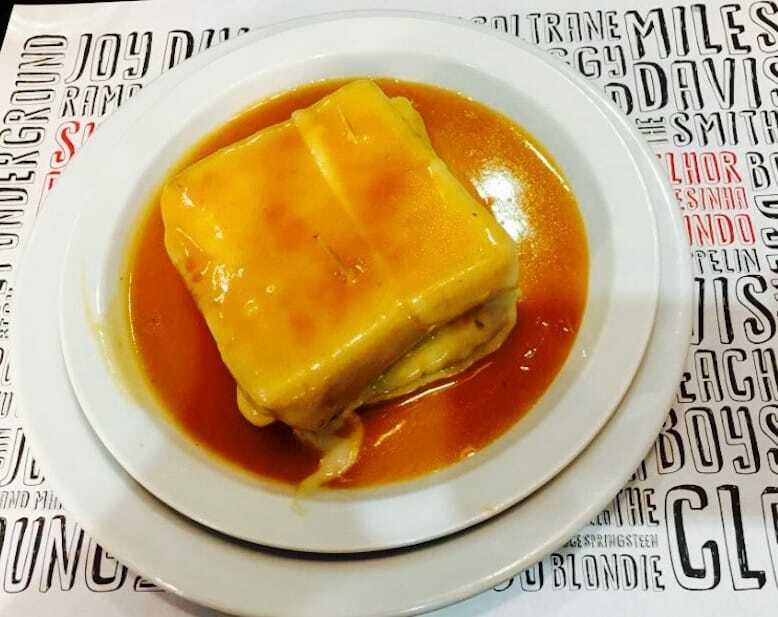 At Madureira’s, francesinha almost goes unnoticed among the seafood delicacies and fresh fish, but it is definitely worth it. For those who prefer a smooth sauce without a distinctly spicy dash, any of Madureira’s restaurants, spread all over the city, are an excellent choice. 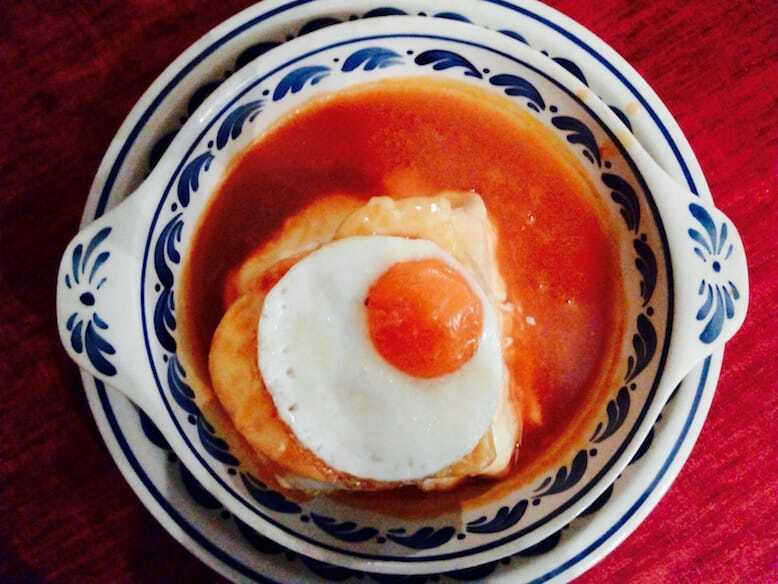 And a surprise: a semi – vegetarian francesinha in Porto! 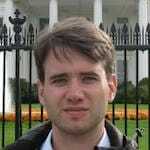 I am usually very suspicious of vegetarian francesinhas, partially because I am intolerant to soy and its derivatives. Which is why I was really happy to find a good alternative at Moment’Um! Helena, the gentle owner of this restaurant, makes a delicious veggie burger for her francesinha. 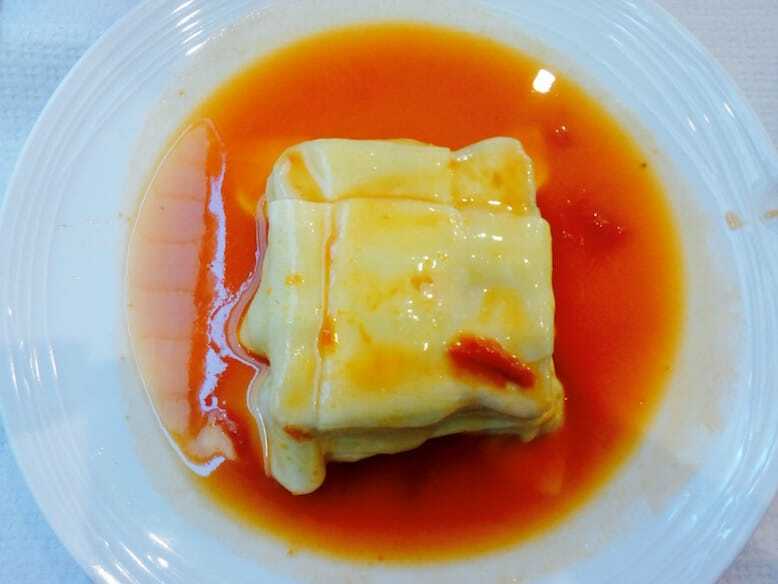 They sauce, which is meat based (hence being a semi – vegetarian francesinha), is light and non spicy, and it doesn’t overpower the francesinha itself. You must definitely give it a try!